Beach Crew - LBS Women Medal at WIRA for 4th Year in a Row! LBS Women Medal at WIRA for 4th Year in a Row! WIRA is the Western Intercollegiate Rowing Association. For west coast collegiate club rowing, this is typically the championship regatta (unless you go to ACRA). The venue is set at gorgeous Lake Natoma, a few miles outside of Sacramento, CA. Do not let the beauty of the lake fool you, the competition is fierce. If you want to win on that water, you need to earn every meter. When teams showed up on Friday to practice the wind was so bad that many crews were not allowed to row until it was safe. Some did not get row at all. This can be a significant disadvantage if you have never raced on a particular course before. 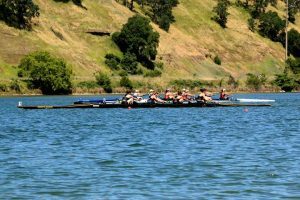 It is expected to get in a practice row the day before a regatta if possible, especially when traveling to a new body of water. This was disheartening and reminiscent of WIRA last year. The wind ended up being too severe on Saturday afternoon and almost half of the afternoon races were canceled. Thankfully, the wind died down and the conditions ended up being some of the best I’ve seen. There was a strong tail wind pushing boats towards the finish line, as well as a strong current pulling boats in the same direction. It was rumored that with the wind and current, teams should expect to shave 10-15 seconds off of their expected times. Coach Ian Simpson and the LBS Women’s team were ready, especially the V2- and V2x (Pair and double). The double was rowed by Destanie Brush and Anabel Cardenas. Destanie has had previous success on this course in the pair and also at ACRA when she sculled a single. 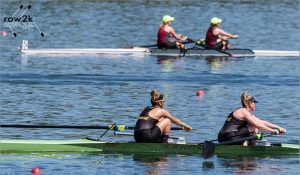 Anabel served as the women’s V4+ coxswain, so it says a lot about her ability to be able to both cox and row successfully. They raced hard and won a bronze medal this year, a well deserved result for these girls. 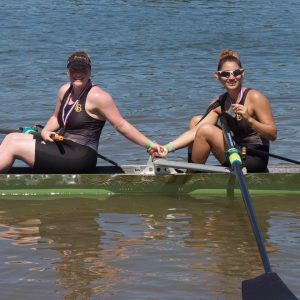 The other two women who won medals were second year rower Megan DeVore and fourth year rower as well as women’s team president, Penelope Gallardo. They both worked hard all season and capped 2017 off with a silver medal performance in the pair. This was Penelope’s final race of her collegiate career, congratulations to her and the rest of the women’s team for all their success this season. The men’s team had their success as well. Most of the boats, both novice and varsity posted the best times they have seen all season. 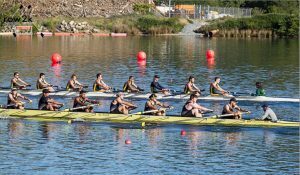 Unfortunately the competition was stiff and the end result had many of the men’s boats near the bottom of the rankings. No medals this year for the fellas. WIRA is always fun, regardless of the outcome. It is a great time to bond with teammates. Both on the 7+ hour bus rides there and back, as well as in between races, hanging out at the race course and in the hotels. LBS Rowing appreciates all the support from the Beach Crew Alumni Foundation and the Parents who travel to see their children compete. They show up every year at the regattas with open arms, supporting words of encouragement, a giant EZ Up tent for shade, and tables and chairs with food for all rowers on the men’s and women’s team. It is truly an honor to have their support. So from all of us at Long Beach State Rowing, Thank you. With the conclusion of the season we all look forward to heading back home and relaxing for the summer. Not relaxing too much though because next season is right around the corner and those who work hard and smart in the off-season have success during the regular season. 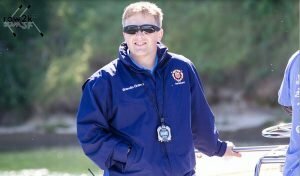 It has been a pleasure to write for LBS Rowing this season and I would like to take this opportunity to thank everyone in the program for participating, coaches, rowers, parents, alumni, LBRA, who so graciously shares the boathouse with us, and of course, the man behind the scenes who does more work than we realize and never looks for recognition but deserves so much credit… Boatmaster John O’Donnel (pretty much our version of George Yeomen Pocock).